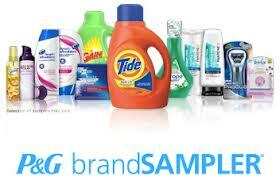 Get a free sample of Gain, Cascade, and Pantene from P&G. Request the P&G sample box which includes a sample of Gain, Pantene and Cascade. Sign in and mark the three samples. Please allow 4 to 6 weeks for delivery.